I wanted to give a HUGE shout out and a massive THANK YOU to Hillary, the awesome store manager in Villa Park. She donated just about everything inside our new tank at F E Peacock Jr High School including the fish! The students LOVE the tank and I could not be more pleased. You have made my dream of having a tank in our school come true. 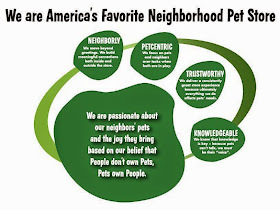 Thank you, Pet Supplies Plus! !